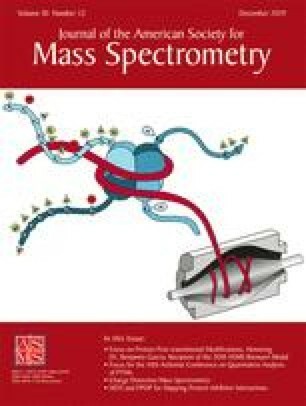 Electrospray ionization mass spectrometry (ESI-MS) is a powerful analytical method to study biomolecules and noncovalent complexes. The prerequisite for their intact observation is soft ionization. In ESI, the internal energy of ions is primarily influenced by collisional activation in the source. The survival yield method is frequently used to probe the energy deposition in ions during the electrospray process. In the present work, we investigate the fragmentation pathways of para-substituted benzylpyridinium ions, the most widely used “thermometer ions” in the survival yield method. In addition to the C-N bond cleavage, alternative fragmentation channels were found for the compounds studied. We consider these pathways to result from intramolecular rearrangements. The effect of these additional fragments on the accuracy of the internal energy calibration is estimated for both collision-cell and in-source collision-induced dissociation (CID). Altogether, results presented suggest that a correction of the energy scale is necessary for the method based on benzylpyridinium ions to precisely quantify ion internal energies.